The retiring CEO of the world's biggest miner says his biggest regret was not forseeing problems in the alumina sector, and his best decision was extracting himself from a large mining deal when the 2008 financial crisis hit. Marius Klopper, who is stepping down in May, and Andrew MacKenzie, the newly appointed CEO, sat down for an interview with ABC News, which was released on Sunday. "There is one thing we think we could have done better. We spotted a technological change in aluminum," said Kloppers. "We made a great decision not to invest in aluminum. But Kloppers regretted not extrapolating the same trends that were taking over the aluminum business and apply them to the alumina business. BHP Billion (NYSE:BHP) spent US$3 billion expanding the alumina refinery at Worsley but ended up writing down US$2.2 billion as the commodity prices in the sector tanked. "We [just ] kept on investing. I just wish we had a bit more [analysis] and not have added some of the alumina capacity that we did." Kloppers said his best decision was being able to extract himself from a tie up with Rio Tinto once the financial crisis hit. He said he took the advice of a board member who told him "Look, this Rio Tinto deal could take a long time. Things could change. Where's the exit button?" 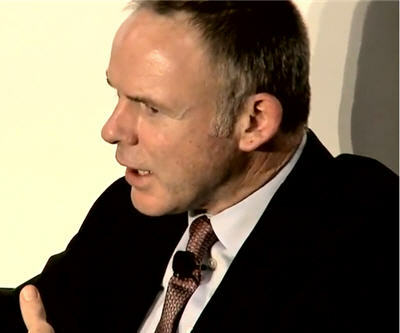 MacKenzie and Kloppers supported the Petrohawk deal, which BHP acquired for $12 billion in cash in July 2011. A year later the company was forced to write down the purchase by US$2.84 billion as natural gas prices slumped. "The assets that we bought at least have at least in them the hydrocarbons we thought when we bought it, so I believe it has been a good purchase. The prices do vary and that's why these assets needed to be written down slightly," said MacKenzie. "But I am very comfortable having a shale piece in my portfolio. I think it is a fundamental part of the future energy supply of world." Looking ahead Kloppers says demand for commodities will continue, but it won't be as heady as the last five years. "I think that we had China's demand hit a constrained supply system. And we saw prices escalate tremendously as the world couldn't respond," said Kloppers. "I think over the next five years . . . we are going to see very strong demand from China, but we are going to move from growth rates in demand of 15%-20% demand to 2%-4% per year. That means suppliers will be able to respond to demand. And therefore you have to be low cost and you have to take into account that price is not going to help you there." Faced with the new landscape, Andrew MacKenzie said he plans to drive the "productivity agenda hard". MacKenize joined BHP Billiton in November 2008. He has 30 years experience in petrochemical, minerals and oil and gas. He has a doctorate in chemistry and a degree in geology.